New research in climate science indicates that extreme events, such as heat waves, the collapse of major ice sheets, and mass extinctions are becoming dramatically more probable. Though cuts in rising emissions appear unlikely with the stalled 2015 Paris agreement, University of California San Diego scientists argue that new developments present an opportunity to shift the politics around climate change. For the first time, scientists can make a strong case that no one is exempt from the extreme and immediate risks posed by a warming world. The findings were recently published in a Foreign Affairs piece led by Veerabhadran Ramanathan, professor of climate and atmospheric sciences at Scripps Institution of Oceanography, and co-authored with David Victor, a professor of political science at UC San Diego’s School of Global Policy and Strategy (GPS) and director of the Laboratory on International Law and Regulation. They collaborated with Pontifical Academy of Sciences and Social Sciences members Msgr. Marcelo Sanchez Sorondo, Partha Dasgupta, and Joachim von Braun. 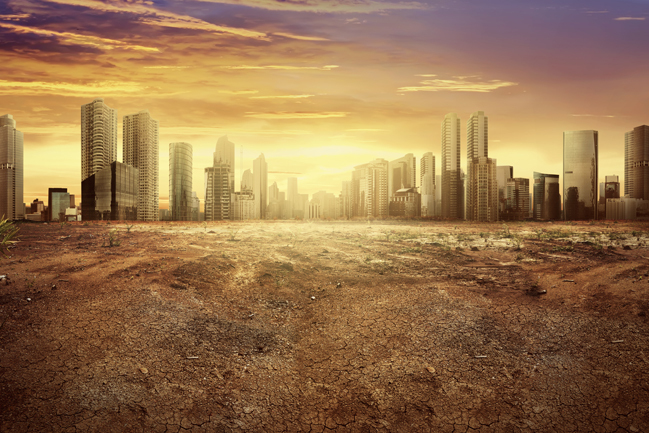 In the article, the authors outline a variety of grim impacts scientists predict climate change will have on human health and food supply in the near future. But this does represent an opportunity: These same consequences from climate change on developing economies may give rise to the political capital needed to make deep cuts in carbon emissions. Scientists long believed that because wealthier societies had the resources to adapt to a warmer world, that poor countries would suffer more, even though the wealthiest one billion people around the world are responsible for more than 50 percent of emissions. However, Ramanathan and Victor point out that new studies show that the rich are far more exposed than anyone realized—especially to deadly heat. “Massive fires in Sonoma and Napa, the richest wine-growing areas in the United States, may have a larger political impact than distant crises—just as heat waves in Japan and super-fires in Europe are having a political impact there,” the authors noted. The opinion piece originated in a meeting organized in November 2017 at the Vatican by the Pontifical Academy of Sciences by Ramanathan, Sanchez Sorondo from the Vatican, and Dasgupta of Cambridge University. A declaration from the event urging governments and other stakeholders to take the scalable and practical solutions was signed by several Nobel laureates, the late physicist Stephen Hawking, California Gov. Jerry Brown, Rep. Scott Peters, and mayors of several major European cities. Today, scientists can also more clearly convey the rising risk of extreme events that will have major consequences for human welfare. For example, researchers forecast that beyond 2050, as much as 44 percent of the planet’s land areas will be exposed to drying. This will lead to severe drought conditions throughout southern Europe, North America, much of southeast Asia, and most of the Amazon—affecting about 1.4 billion people. There is also a heightened risk of more extreme rainfall which will expose an additional two billion people to floods. If realized, these disastrous predictions will have major impacts on human health in a variety of ways. They added that heat and droughts threaten regions that produce much of the world’s food. Food prices are expected to rise 23 percent by 2030, making food markets more volatile, and under heat stress, the nutritious content of food crops is declining. “Extreme weather disasters also have negative impacts on mental health. When heat is over 130 degrees, whole societies can come unglued,” the authors wrote. And, to make matters worse, diseases transmitted by mosquitoes and other insects, such as malaria and dengue fever, seem likely to proliferate as the habitats of mosquitoes expand, thanks to climate change, indicating the worst is yet to come. In the years to come, it is expected that more than half of the population may be exposed to extreme heat waves and perhaps one-third to vector-borne diseases. With few immune to these negative effects, the authors recommend that activists along with the scientific community should seek alliance with faith leaders, health-care providers, and other community leaders as part of the strategy on combating climate change.